While many of us Brits take superfast broadband access for granted these days, a new 'fibre in the sky' project that hopes to bring speedy internet connections to Africa and other limited-connection zones throughout the world just received £700 million in a new funding round. The new O3b satellite broadband project (O3b stands for "other three billion") hopes to deliver broadband services to three billion people across the globe, which would fundamentally change the level of online access for many of the world's poor. The project is described as one of the most ambitious commercial space projects of our generation. 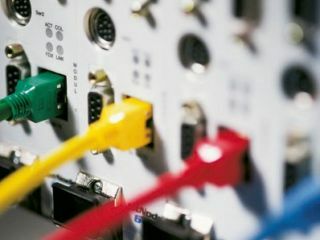 O3b hopes to fix the problems created by the lack of super-fast fibre optic cable connections in throughout Africa, Asia and Latin America. O3b chief exec Mark Rigolle said: "This has allowed us to secure our funding and to achieve our goal of reaching the billions who have so far been poorly served or completely cut off from the internet - the greatest business and information resource of our time." Jersey-based O3b Networks's satellites would support super-fast broadband connections to the world's emerging markets. The spacecraft will act as backhaul, linking the traffic of local telecoms and internet service providers to the global fibre infrastructure. O3b has raised the latest round of cash investments into the project from a range of banks and private investors, in order to fund the first eight satellites. These first satellites will be built by Thales Alenia Space in Cannes, and should be ready to go into orbit early 2013. These first eight satellites will go into Medium Earth Orbit (MEO) about 8,000km above the equator, which will provide broadband coverage to countries within the plus and minus 45 degrees Latitude zones. Internet traffic from these areas will then be fed into the fibre network that supports the internet throughout the developed world. O3b hopes to put a total of 20 satellites in orbit following the success of this first initiative.